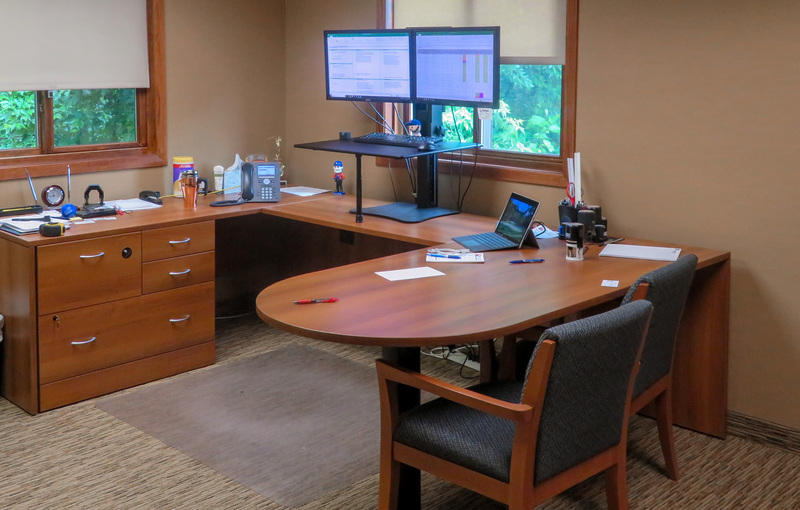 In 2017, the Edge Consulting Engineers, Inc. Minnesota location began the move from the southern suburb of Lakeville to Burnsville. 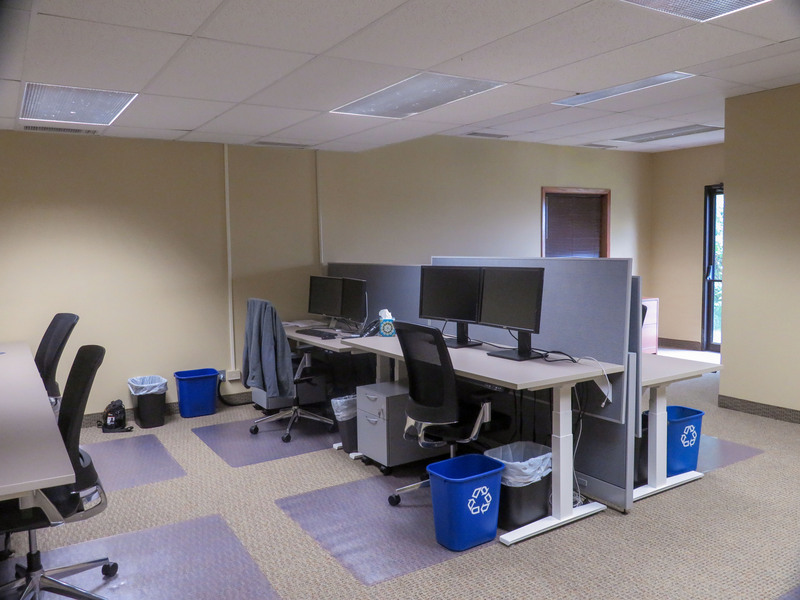 Edge’s new location and subsequent office remodel has been accompanied by excitement and additional amenities for employees. 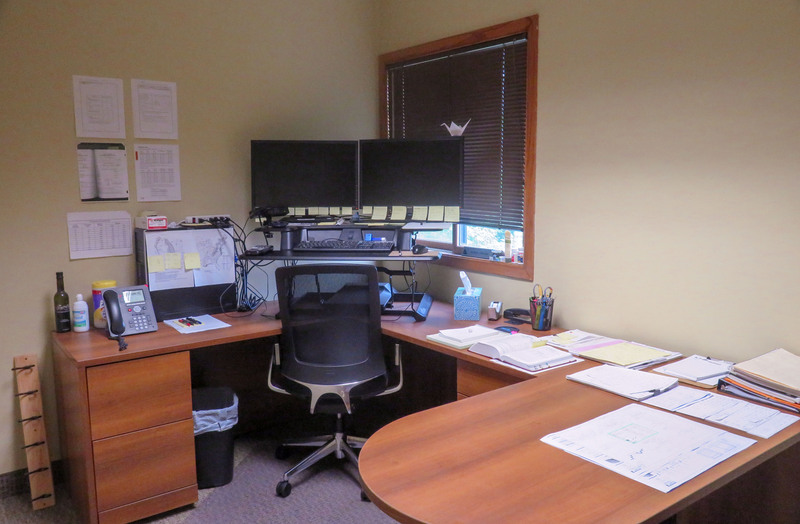 The new office now resides at 2101 Highway 13 West, Burnsville, MN. Burnsville is a suburb about 13 miles southwest of the Minneapolis-St. Paul International airport, and is home to approximately 60,000 residents, nearly 2,700 businesses, and hundreds of retail shops and restaurants. The new location also offers convenient access to numerous highways, including the major interstates 35E and 35W. Given the substantial growth in the telecommunications business in the Minneapolis metro area, as well as across the Great Plains region, Edge recognized the need to establish a stronger presence in Minnesota to better support our telecom clients. What began as a small satellite office has expanded to a multi-faceted engineering team providing full A&E services to our clients. Our Minnesota team has forged strong partnerships, enabling Edge to become an integral player in the large-scale infrastructure improvements made by the major telecommunications carriers as Minneapolis prepared to host Super Bowl LII, and we remain committed to supporting our clients’ growth initiatives going forward. 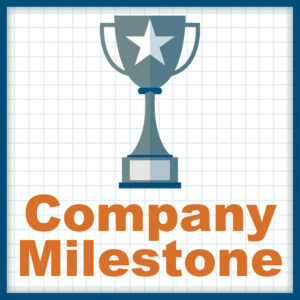 We firmly believe that when our clients succeed we succeed! To support our future growth, Edge purchased an existing building in early 2017 and moved its Minnesota-based operations to the new Burnsville location in July 2017. Renovation of the lower level began in March 2018 and was completed in June of the same year. The lower level of the building is now home to two new offices, a conference room, and numerous open area work stations. Some notable improvements include the implementation of sit-stand work stations to allow employees more freedom of movement throughout the work day, as well as the ability to more easily collaborate on projects within a more open and flexible work space. What are your thoughts on the new office space as compared to the former location? Our Burnsville office is great. Upgrading to the bigger office space allows us to have a more productive environment and gives us the ability to grow as a branch office. The amenities we’ve gained from moving offices also seems to have a positive impact on overall employee performance and well-being. How do you like the new sit-stand workstation setup? I enjoy the variation of sitting or standing throughout the day. It’s great to have the option of standing up if my body feels stiff from sitting, or the opposite, sitting and resting my body if I’ve been standing for a while. It breaks up the day, and it seems to go by faster because I’m not in the same position. I love having the option to stand. I stand close to 2/3 of the day now. 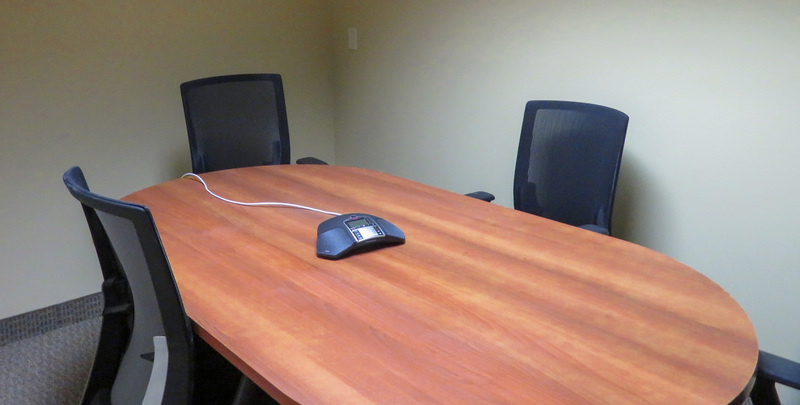 What are your thoughts on the new shared office space arrangement? The new shared office is going well. The shared space is an excellent way for new employees to ask questions and for me to help them better understand our software programs and processes to further their understanding of design/drafting work. What is your overall impression of the new office layout? The new office space feels much more inviting to both guests and employees alike. From the new reception area, to the more open/flexible work spaces and kitchen amenities, our new space is both functional and versatile. 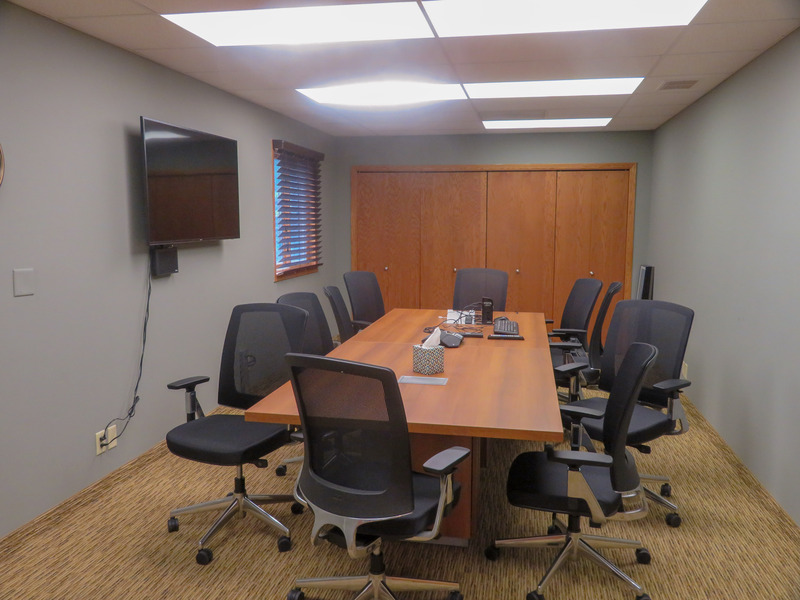 In addition, the new conference room spaces have allowed us to work more cohesively as a team, whether they are utilized for small group discussions, formal presentations, lunch and learn opportunities or team building. I love our ability to grill out as a team as well! In late July, the parking lot will be resurfaced and repainted, and we are working on some future landscaping updates for 2019 as well. 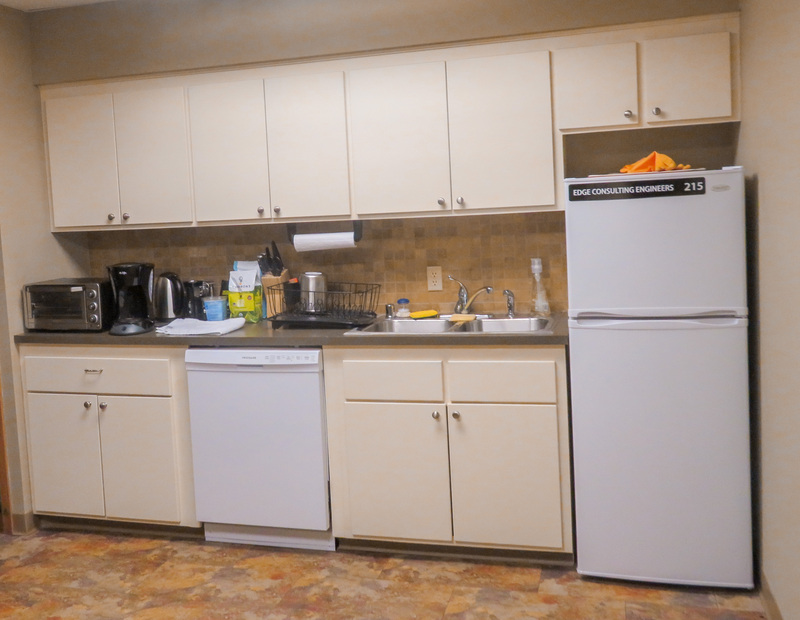 All in all, the remodel has been a great success and employees are enjoying the more spacious working environment, kitchen amenities, and flexible work station arrangements. We are well-positioned for continued growth in the coming years and look forward to what lies ahead! 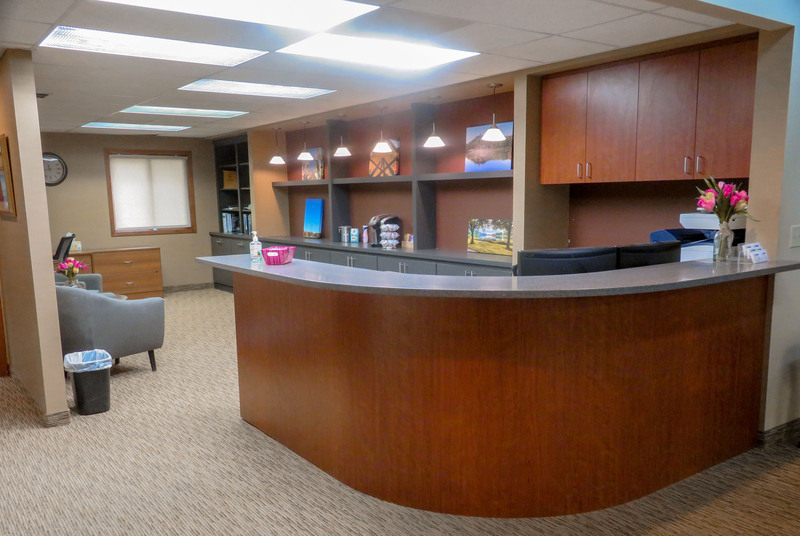 New reception desk at the Minnesota office to welcome guests. 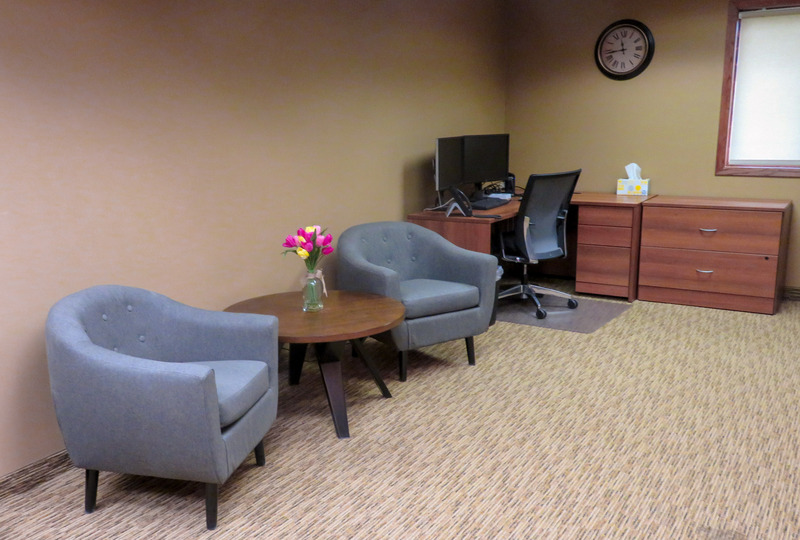 Waiting area and temporary work station available to visitors. 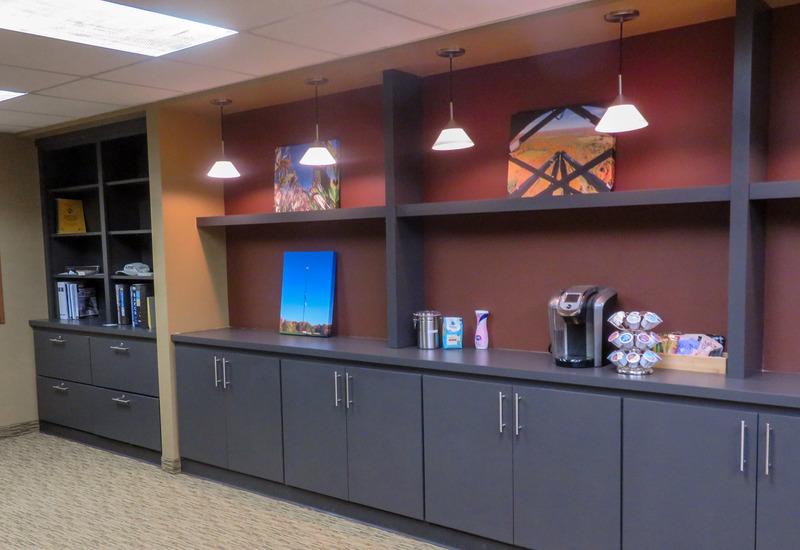 Enjoy complimentary refreshments in the new waiting area. Open area work spaces featuring adjustable desks for standing and sitting. The main conference room is well-equipped. Lower level conference room for smaller groups. New office with standing or sitting option. Employee enjoys the option to stand and work throughout the day.